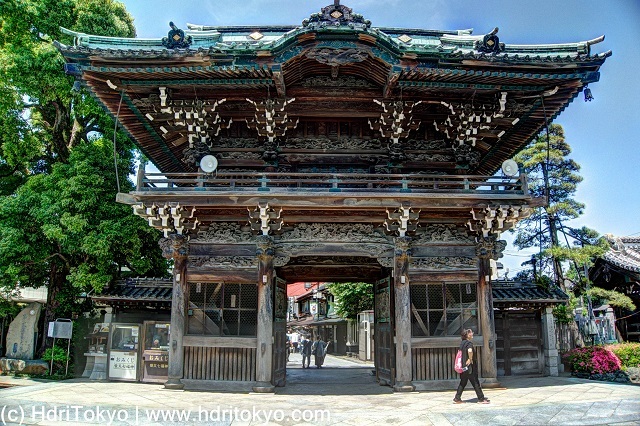 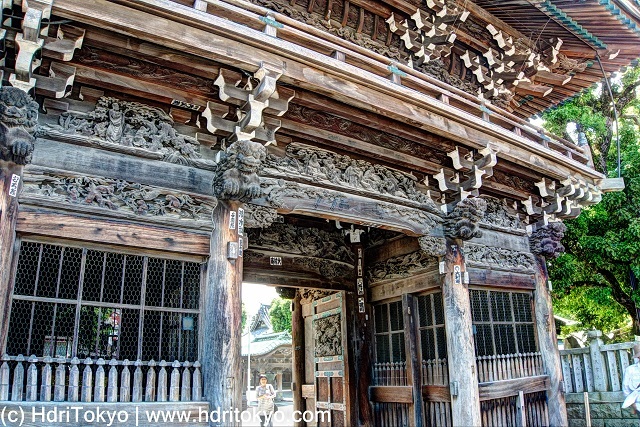 If you walk along the approach to Shibamata Taishakuten Temple from Shibamata station, you will see the graceful gate. 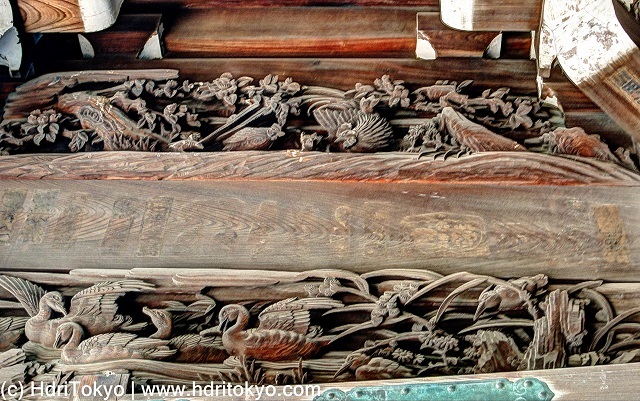 When getting to the gate, you will realize how beautiful it's details are. 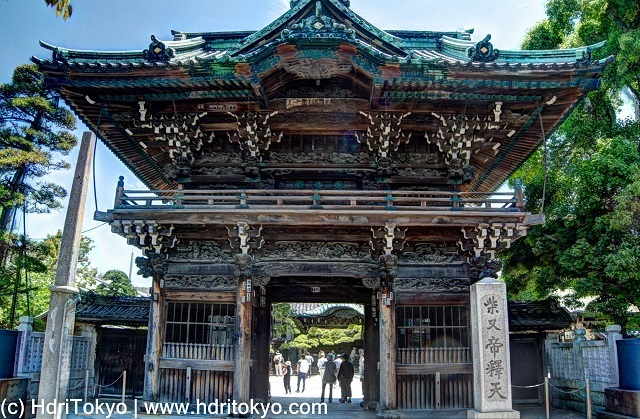 The gate named Nitenmon was built in 1896.